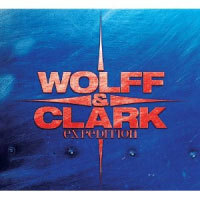 Pianist Michael Wolff and drummer Mike Clark’s Wolff & Clark Expedition is an interesting case study: This trio’s groove-minded, harmonically savory style is so accessible, yet there aren’t a lot of other bands like it. Being immediately likeable somehow fell out of fashion for a large part of the jazz set, and that’s a pity. The original material, like the noodly shuffle/free exercise “Flat Out,” stokes the trio’s sense of adventure more, but this disc is essentially a treat for jazz fans who believe in the shared ground between bop and funk. And Clark sounds extraordinary, filling in every nook of the groove but maintaining a simmering dynamic that staves off any “drummer’s record” vibes.